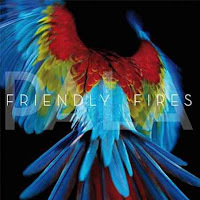 Thanks to the good folks at the Hype Machine, you can listen to the new Friendly Fires album, 'Pala', ahead of its UK and US (May 24th) release dates. It's the follow up to their Mercury nominated self-titled debut, and continues along in the dance vein of its predecessor. You can also download a track from the album for the price of an email address.